Published on January 30, 2011 in corruption, General T&T, Opposition Party, Parliament, People's Partnership and Politics. 13 Comments Tags: Basdeo Panday, Kamla Persad-Bissessar, Patrick Manning, Raffique Shah, T&T Govt. DURING the formative years of the United Labour Front (ULF), circa 1975/76, I learned some harsh lessons in “politics by vaps” courtesy an often-tipsy Basdeo Panday. Those occurrences come to mind as I watch amazing scenes played out on the national stage. Since the lead actress is Panday’s successor, Prime Minister and UNC leader Kamla Persad-Bissessar, who has publicly stated that Bas is her “political guru”, maybe there is a nexus between what happened so many moons ago and what is happening today. Published on January 28, 2011 in Entertainment and General T&T. 17 Comments Tags: 'Mighty Conqueror', Leroy Paul. Leroy ‘Mighty Conqueror’ Paul was struck by a car on the night of Thursday 27th January, 2011, while crossing Wrightson Road near the Kalypso Revue Tent at SWWTU Hall. He succumbed to his injuries in hospital. 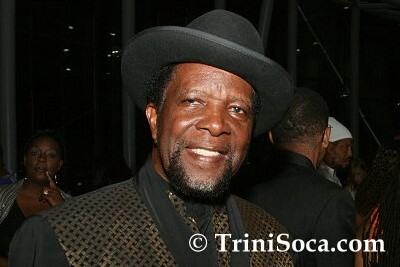 ‘Mighty Conqueror’ was on his way to rehearsals for the 2011 Calypso tent season. His hits included “Trinidad Dictionary”, “Woman And Money” and “Fresh Water Yankee”. He was 71. Published on January 27, 2011 in Crime in T&T, General T&T, Media, Opposition Party, Parliament, People's Partnership, PNM, Politics and Security. 67 Comments Tags: Jack Warner, Kamla Persad-Bissessar, Politics, Selwyn R. Cudjoe, T&T Govt, UNC. One year ago Kamla Persad-Bissessar was elevated to the leadership of her party. In May of last year she was elected prime minister of the country. Since then she has shown herself to be incompetent; of questionable intellectual maturity, and deficient in judgment. As we enter 2011, I wonder how many persons feel she is steering the ship of state in a positive direction. Published on January 25, 2011 in Africa, International and Race and Identity. 1 Comment Tags: Africa, African. Professor Kwesi Jonah is the chairman of the Political Science Department at the University of Ghana at Legon. He is an expert in African politics and specializes in political economy and good governance. In 2005-06 he acted as the coordinator of West African Political Parties Programme (WAPPP), a project of the Institute of Economic Affairs located in Accra. Published on January 23, 2011 in Crime in T&T, General T&T, Law, Opposition Party, Parliament, People's Partnership and Politics. 6 Comments Tags: Anand Ramlogan, Attorney General, Crime in T&T, Politics, T&T Govt. WE are entirely dissatisfied with the turn of events at last Tuesday’s sitting of the Lower House that passed the Miscellaneous Provisions (Remand) Bill 2010. We believe that in the recent swirl of late night sittings and rushed legislation, the far-reaching consequences of this Bill have not at all been spelt out to the general public, but for the cautions issued by Diego Martin North East MP Colm Imbert and Port-of-Spain South MP Marlene Mc Donald.